Table Mountain is not simply the table topped mountain the world knows so well, it is an entire mountain range, stretching from the Atlantic down the Peninsula to the Indian Ocean. It is itself an island, and the city has developed around it. It is the spine of Cape Town. On the Peninsula Route, we follow the perimeter of the Table Mountain range, going full circle around the mountain, passing incredible seascapes, and taking in some of the most magical sightseeing possible. There is the majestic pass called Chapman’s Peak. 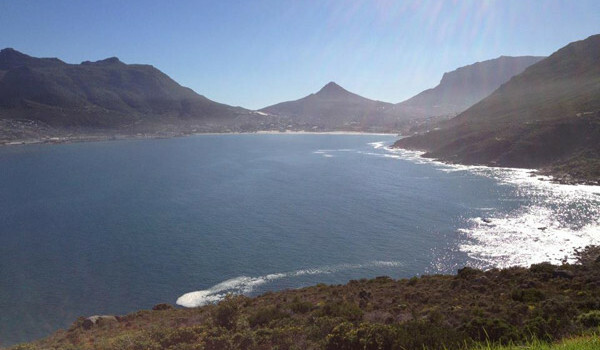 There are quirky little suburbs like the arty Kalk Bay, the naval Simonstown and the natural bay called Hout Bay. There are two oceans, the Indian and the Atlantic. There is the Cape Point Nature Reserve, at the Good of Good Hope, the point of the Peninsula where these two oceans meet. There are the crazy penguins that hated the cold, just outside of Simonstown, and there are troops of baboons and some deer and other animals, in addition to some of the most incredible fynbos and plant biodiversity. The Peninsula Route is a magical blend of all these elements.